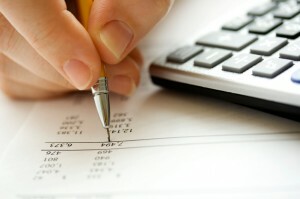 One common question we frequently receive is: Do I need to file a US tax return? If you are a US citizen or resident alien, the rules for filing income tax returns are generally the same whether you are in the United States or abroad. If you live outside the United States and you earn wages, you generally would still need to file a US individual income tax return. The deadline for filing US tax returns remains the same – April 15th, but the IRS allows an automatic 2 month extension if you meet certain requirements and live outside the United States. Please keep in mind that you will still need to pay any taxes due by April 15th or interest will start to be calculated on the amount you owe until you file and pay your taxes. Filing tax returns also allows taxpayers to claim exclusions and tax credits. If a US citizen does not file their tax return, they may miss out on valuable credits and exclusions. Even worse, if you fail to file, you may be liable for significant penalties and interest payments which continuously accrue. For tax year 2017, the allowable exclusion is $102,100 USD. If you have further questions or want to speak with a US tax consultant, please contact us today or request a quotation to find out how we can help.